German Servas hosts Marianne, Martin, Juliana, and Hans. Shel Horowitz photos. 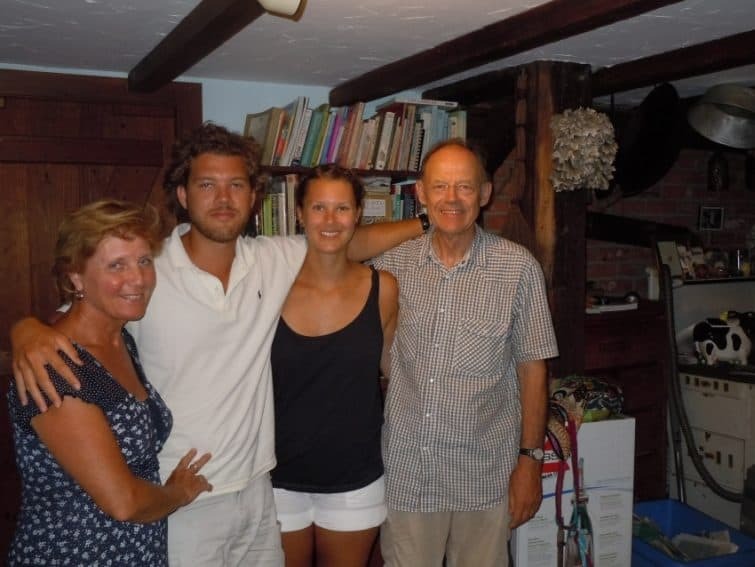 Long before Couchsurfing, Servas has been matching travelers and hosts around the world. Founded to promote peace by breaking down barriers between cultures, Servas celebrates its 70th anniversary in 2019. Like Couchsurfing, travelers peruse host profiles, and no money changes hands between hosts and travelers. But Servas focuses much more on the visit and much less on just having a place to crash. So, while it might be perfectly acceptable to show up to a Couchsurfing host at 10 p.m. and leave at 8 the following morning, in Servas, that would be rude. 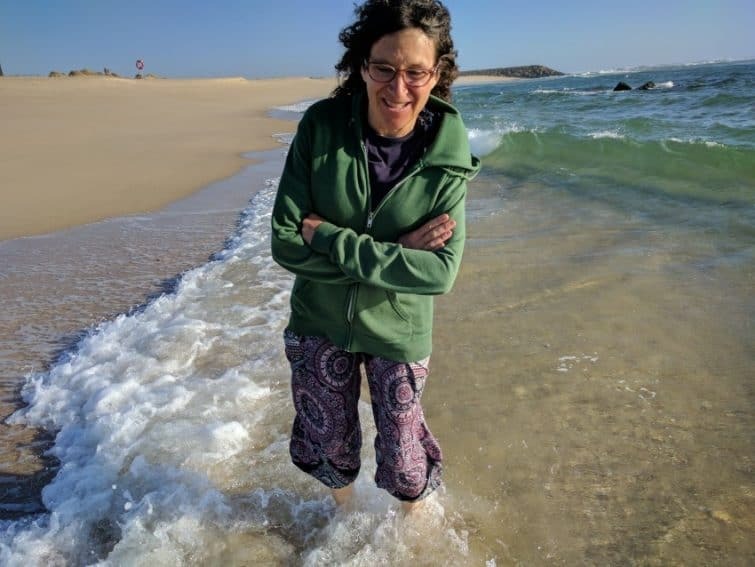 Dina, the author's wife, on the beach in Costa Nova, Portugal. Servas is also more formal, with an approval interview, annual fee, and a two-night stay as the preferred format. Members can be hosts, travelers, or both. More than 100 countries have Servas hosts, from Algeria to Zimbabwe. My wife and I became Servas hosts and travelers in 1983 (and joined Couchsurfing in 2009). We’ve enjoyed homestay visits across North America, Central America, Europe, and the Middle East; we’ve hosted travelers from as far away as China and Australia, as close as Boston (two hours away by car). Both our grown children continue to participate, as well. We really value the sense of community, the chance to live as locals do, and the much more personal alternative to sterile motels. We’ve also discovered that homestays often provide a chance to make new friendships. We stay in touch with some of our hosts and guests for years. As travelers, we’ve also experienced many hosts who share little-known attractions in their area that might not be in the guidebooks. As hosts, we do that for travelers, too, and we also sometimes introduce them to local experts who have resources in their area (for instance, organic farming or alternative education). Here are some magic moments we’ve experienced by visiting others and opening up our own home. For our first trip to Israel, in pre-email 1986, we wrote postally to a peace activist who had been active in the formation of Israel. He wrote back that he’d be out of the country, but we should contact his friends, the Karianis. They turned out to be an Arab family living in an Arab village in northern Israel. As American Jews, we felt very fortunate to stay with them and experience a side of Israel that most visitors never see. This warm and gracious family talked frankly about the many difficulties they experienced as Arabs in a Jewish state, and it felt like we were participating in the original vision of Servas as a peace organization. When we returned to Israel in 2014, we tried to track them down but weren’t successful. One of the families we did stay with on that second visit was a Dutch couple who had emigrated after World War II. 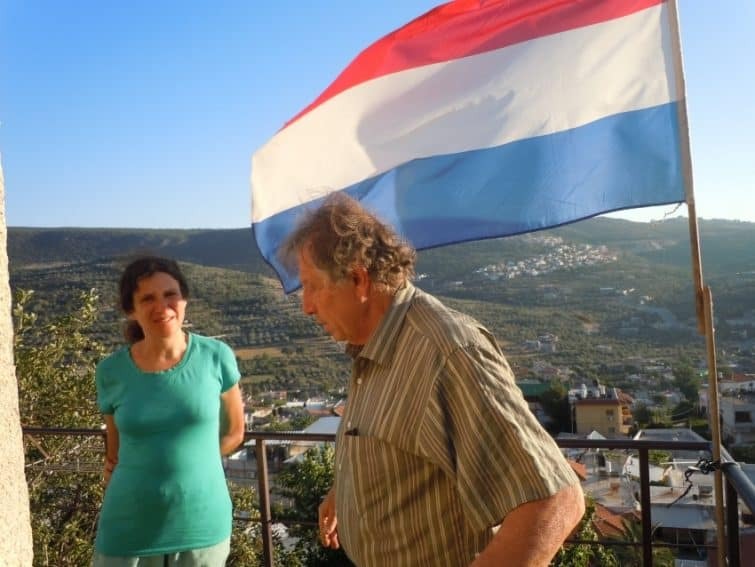 Ruth and Abel were one of only three Jewish households in the Druze village of Pequ’in. They walked us around the village to meet some of their neighbors. Everybody we encountered knew them, including Abu the Chicken Man, who served us coffee on his terrace and entertained us with stories about supplying the local population with fresh eggs. Several other people wanted to serve us coffee also, but there is a limit to how much coffee we could drink in one morning. It turned out that Ruth and Abel were the caretakers of the 2000-year-old carob tree directly below their hilltop home that nourished Jewish patriot Shimon Bar Yochai during the 12 years he hid out from the Romans in a nearby cave, just after the time of Christ. It is still bearing fruit and I got to chew on a carob pod from a tree that had been alive in Christ’s lifetime. As former refugees, Ruth and Abel were also acutely aware of the situation of Arabs in Israel. Abel took us to an Arab village, forcibly evacuated and then destroyed in the 1948 war. Now, it’s Bar-Am National Park, where one man was conducting an Occupy movement on the roof of the one remaining building: the Orthodox church. Most Servas visits are far less somber, though. When our daughter Alana (now 30) was three-and-a-half, we took her abroad for the first time, to Wales. She was already an experienced Servas traveler, after a five-week US road trip a year earlier. We visited an adventurous family out in the mountains of Snowdonia. The directions to their 400-year-old home involved following a “narrow lane past the second sheep gate.” They had two boys several years older than our daughter, and a new baby girl. The boys immediately adopted Alana and made her feel super-welcome, racing up and down the long driveway with their bikes and a tricycle for her. The next day, despite a storm, Adam and Frances lent us waterproof Wellington boots and rain slickers, strapped the baby into a backpack, and took us off on a wet but wonderful hike through their mountains. 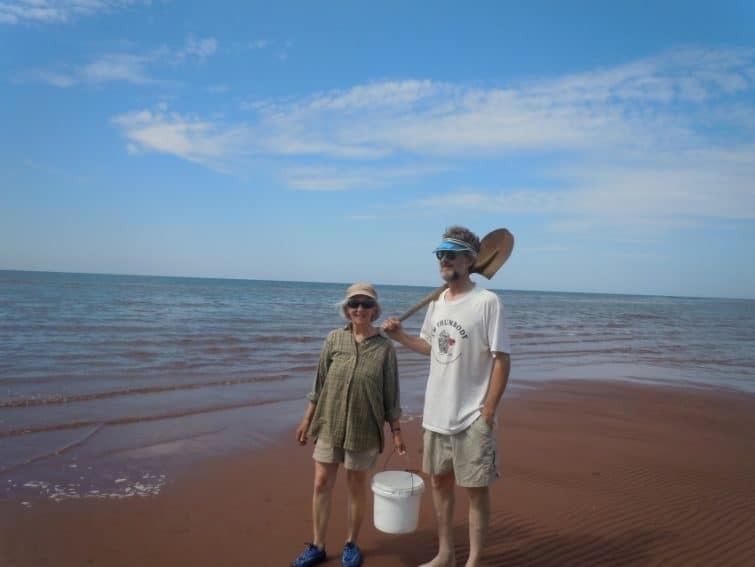 Servas hosts Tony and Marion on Prince Edward Island, Canada. After dinner, the boys’ country school happened to be hosting a talent show—in Welsh. It was actually the only time in the whole trip that we heard Welsh being spoken. We all enjoyed each other so much that they made a special detour to visit us a few years later. Normally, since we live in the country, we ask visitors to have their own transportation. But we made an exception for David Maduri, from Kenya. The first man in his village to go to college, he was studying in Costa Rica and seeking to transfer to an American university. 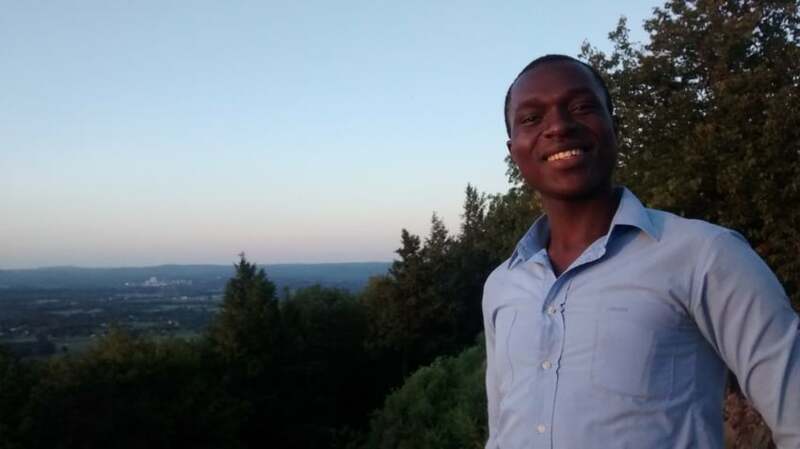 As we took him to area attractions like Mount Holyoke, with its four-state view, he told us about the foundation he was starting to foster higher education in his Kenyan village. We've stayed in touch with him on Facebook and watched as he moves that dream forward. A trip to Maine and Francophone Canada in 2016 allowed us to reconnect with Tony and Marion, who had visited us about 20 years earlier. As people in the Green movement, we were thrilled to visit them in the off-grid self-sufficient home they’d built themselves. We also made several new friends on that trip, including Judy and David, who were into massive-scale organic gardening and nature photography, and Delores, who lived just outside one of Quebec’s national parks, a place we would have never visited if not for her. In fact, one of the great things about Servas is going where the typical travelers don’t go, because a host sounds interesting. We’ve discovered many wonderful places because we happened to visit people nearby (and listen to their travel advice). 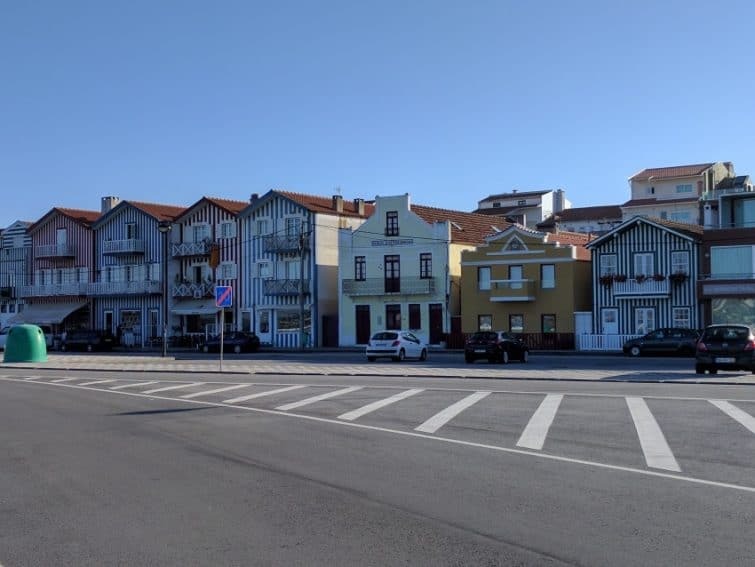 Striped painted houses in Costa Nova, Portugal. Otherwise, we would never have had the memorable cliff hike with Montserrat in the Catalan town of Sant Feliu, or experienced the charming striped beach town of Costa Nova, Portugal with Andreia (among many other adventures). And there was the time we got to meet Servas founder Bob Luitweiler, shortly before he died. We had no idea he even lived in Bellingham, Washington, but our host asked, “do you want to meet him?” Terminally ill and in a nursing home, he was still the vibrant visionary who founded this remarkable international organization. He talked animatedly about a school he wanted to start, eagerly discussed the world situation, and kept us for nearly two hours, only reluctantly letting us leave with the promise that we’d visit on the phone. And I did have a two-hour call with him once we were back in Massachusetts. He has left a legacy that would make anyone proud. Here’s a five-minute video where he reminisces about some of his motivations for starting Servas in the aftermath of World War II. Shel Horowitz. Andrew Morris-Friedman photo. 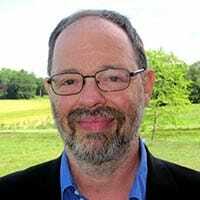 Shel Horowitz shows you how to profit by greening your business, turning hunger and poverty into sufficiency, war into peace, and catastrophic climate change into planetary balance, and marketing these commitments. His 10th book, Guerrilla Marketing to Heal the World: Combining Principles and Profit to Create the World We Want , highlights profitable and successful socially responsible strategies used by companies from Fortune 100 to solopreneurs. Visit his website. Hospitality Exchanging, as it is often called, is such a great way to travel which is why it is becoming more and more popular. We created our website Home Exchange 50plus some years ago as our retirement project and although we do tend to see more of our members opt for a traditional home exchange, hosting is an option chosen by about 25% of our members.